The 2016 ControlTrends Awards took center stage at the Hard Rock Cafe in Las Vegas. The music nightclub, embellished with rock history relics and museum pieces, was the ideal place to celebrate the heroes and superstars of our HVAC and the Building Automation industries. 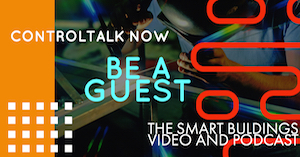 Marc Petock and Kimberly Brown co-hosted the ControlTrends Awards ceremony, and BACnet International’s Andy McMillan spearheaded the BACnet International Awards. The 2016 Top Gun Awards recipients were recognized (separate post to follow), as was Sarah Monteleone, who received the coveted Petock Award. The highlight of the evening was the induction of Jack McGowan, Steven Bushby, and Ken Sinclair into the ControlTrends Awards Hall of Fame. In recognition of his career contributions to the BACnet protocol, Steven Bushby was also inducted into the BACnet International Hall of Fame. Photo and video highlights to follow! 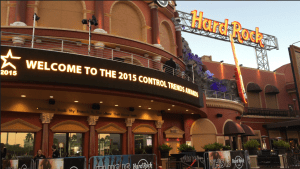 The 2015 ControlTrends Awards were held yesterday evening at Orlando’s Hard Rock Live, located at the door step to the amazing Universal Studios. 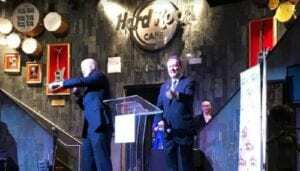 Hard Rock Live was a most befitting venue to celebrate the heroes and superstars of our HVAC and the Building Automation industries. 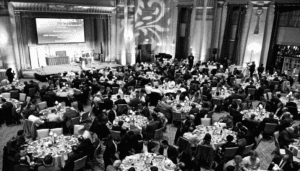 Marc Petock and Kimberly Brown co-hosted the awards ceremony that recognized the 2015 ControlTrends heroes and superstars of the HVAC and Building Automation industry. The 2015 seven Top Gun Awards recipients were recognized (separate post to follow) as was Ed Merwin, who received the coveted Petock Award. 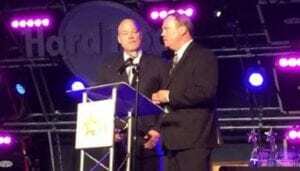 The ControlTrends Cyber Security Award went to SmartCore’s Fred Gordy and Lynxspring’s Marc Petock. The pinnacle event of the evening — Hans Kranz’s induction into the ControlTrends Awards Hall of Fame. Photo and video highlights to follow!